It’s the holiday season, and for most people, that means going online or running to the mall to frantically shop for gifts. Selecting the right presents for family and friends is a whole lot easier with a little inspiration, and we’re here to help. 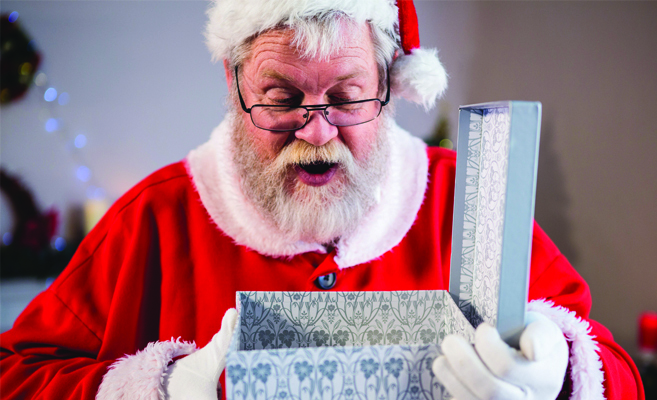 If someone on your gift list wears eyeglasses, they’re sure to love one of these five holiday presents. Many eyeglasses wearers have alternate glasses for driving. That means each time they get in the car, they have to take one pair off and put the other pair on. Without a sturdy eyeglasses holder for the car, it’s likely the off-pair will land on the dash or the passenger seat where they are certain to be destroyed. Eyeglass holders for the car are generally pretty inexpensive, including models that conveniently clip on to the sun visor. A quality pair of eyeglasses deserves the protection and good looks of a stylish case. There are literally thousands of material, texture, color and pattern combinations to choose from. A hard case is often a smart choice, as it delivers a higher level of protection. Think about your friend or loved one’s style preferences to find the right design for him or her. Is your friend also a reader? Then it’s highly likely he or she would love a new e-reader. One of the most popular on the market is Amazon’s Kindle Paperwhite. It’s great for people who wear eyeglasses because, unlike a traditional book, the reader can adjust the size of the text. It also limits glare better than other mobile screens, so it’s perfect for reading outdoors. Eyeglasses require daily cleaning, so this is something literally every eyeglasses wearer needs. Too often, people just wipe off their glasses on their shirt or a nearby paper towel. These techniques can scratch the lenses, leaving permanent damage. A good eyeglasses cleaning kit should include lens cleaning solution and at least one microfiber lens cloth. Proper lens care can greatly extend the life of your friend’s eyeglasses. Sometimes, the best gifts are those we let friends pick out themselves. With a gift card for our practice, the eyeglass wearer in your life will be able to select exactly what their eyes need most. Just stop by one of our optical shops to purchase your gift card. We have two convenient Gainesville optical locations: on the corner of NW 8th Avenue and 43rd Street, and in Tioga Town Center.